Santorini and Assyrtiko are verses which are often sung about Greek wine, both within and outside Greece. However, Eric Asimov, the respected wine journalist, recently wrote in the New York Times that in the USA: “....most people, including many who consider themselves wine lovers, still regard Assyrtiko as something exotic, perhaps even alien.” (New York Times, 2 August 2018). This statement highlights the extent to which the variety has been successful, which is remarkable, but there are limitations. In any case, Santorini and Assyrtiko have made Greece recognized abroad. The ancient, dry farmed, own-rooted vines, the distinctive training system (the well-known 'kouloura' or 'kalathi'), and the volcanic soils form an irresistible combination. But is it the variety or the island which takes precedence over the other? That could be a first question to pose. Would it be correct to isolate the variety from its place, particularly if one is talking about 'terroir wines' rather than generic wines? I think not. Nevertheless, for the sake of debate, let us examine these two separately. In this case, I have absolutely no doubt in my mind that Santorini wines have greatly benefited from the strong brand name of the island of Santorini. This theory is easily supported if one runs a Google search with Santorini as the keyword, which yields an overwhelming number of results. I would not say that this is at the expense of Assyrtiko. Instead, in order to tell a successful wine story, in the category of fine wines, another non-wine related attribute is necessary. Santorini fills the bill in this way (Mark Andrew MW research paper for Santorini). It is, literally, a unique, premium holiday destination which boasts enchanting sunsets, the Minoan settlement at Akrotiri, the “caldera” and certainly a very impressive local wine gastronomy. In Thira and Thirassia, that make up the Santorini PDO region, there are currently no more than 1.100 hectares of total plantings. Assyrtiko accounts for 70 to 75% of these; this amounts to approximately 800 ha, from a total of 1.900 ha of Assyrtiko plantings throughout the country. 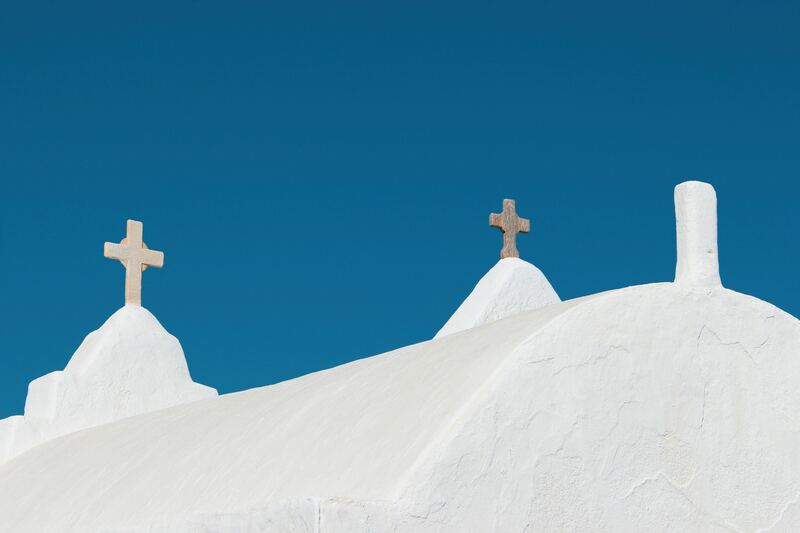 So, about 40% of all Assyrtiko is produced in Santorini, which justifiably makes the island the 'holy grail' of Assyrtiko. However, in recent years, the increase in price of the grape from 0.85€/kg in 2010 (data from the South Aegean Region) to the astronomical 5€/kg in 2018, together with the rise in the number of producers on the island from 13 in 2010 to more than 20 in 2018, have thrust the prices of Santorini wines to dangerous heights. Of course, Santorini is a high-flyer, but what is happening at present rather resembles "the flight of Icarus", which means that soaring higher will burn the wings, and flying lower is impossible. For these heights to be retained, producers will have to deliver a clearer message regarding both quality and aging potential. For the time being, this does not exist. How many aged Santorinis have we tried from before the year of 2000? At the same time, there is an emergence of Assyrtiko wines from other islands, which have formed a separate category that lies between Santorini and mainland Assyrtiko wines; these are impressive with their character. They display the tension, energy and complexity of great terroirs, in addition to the main Assyrtiko characteristics which are defined by high acidity, full body and a mineral character. One might ask how this is possible. A brief answer could be that on poor soils, like limestone, rock and other stony soils, where yields rarely exceed 35 hl/ha, Assyrtiko displays a Santorini-like character, despite being outside its natural home. There is probably slightly lower acidity, but the aromatic and structural elements are preserved. This is purely a tasting observation, but may be an interesting point to be proved scientifically. I will start from the south and from the largest island of Greece, Crete. The very active Wines of Crete network estimates that the total plantings of Assyrtiko cover an area of 40 ha, and there is an upward trend over the past two years. Two of the most interesting bottlings so far are Voila by Lyrarakis and the sui generis Assyrtiko by Economou. The first wine is made from old dry farmed bush vines in Sitia, at an altitude of almost 600 meters and yields of 50 hl/ha. A wine which, despite its origin from one of the hottest mesoclimates, stands out for its high natural acidity and its mineral character. The latter, from the 2013 vintage is already at the plateau of its maturity showing strong, seductive aromas of roasted hazelnuts and a combination of ripe and fresh fruit. The palate elevates the experience by adding cherry flavors. A sensuous wine. Promising efforts include the Assyrtiko of Manoussakis, Douloufakis and of Paterianakis while there are more coming up from Strataridaki, Miliaraki, Digenaki, Toplou, Karavitakis and others. I have a very detailed report of the island of Tinos, in my article Ode to terroir: Tinos revealed. Approximately 10-12 ha of Assyrtiko and a total of 6 producers are making their presence visible by offering elegant wines from granitic soils, which have lower alcohol levels than those of Santorini, but display fruit purity and precision. A typical example is the Clos Stegasta from the Toinos winery; promising wines are the Assyrtiko X-BOURGO, Volacus, and the white blend, based on Assyrtiko, from the Vaptistis Winery. Paros island has recently impressed me with an Assyrtiko single vineyard called Sarakiniko from the Moraitis winery. The soil? Take a guess. It is poor limestone with a 35hl/ha yield. In total, the Moraitis winery cultivates Assyrtiko in 3 of its vineyards. An area of about 3 ha in the areas of Hysterni, Sarakiniko and Aspries. In nearby Syros, the Syros winery also does a noteworthy job with its Assyrtiko '' San ta Maratha ''; this comes at a lower price range, that makes it an appealing option for the daily lunch or dinner table. There is already 1 ha of land that is cultivated with Assyrtiko on the island, but another 3 are in the making within the next three years. The soils? Poor sandy soils with yields of 50 hl/ha, which give the wine an islandic character, with an alcohol that does not exceed 13%. Another Assyrtiko from the Cycladic islands is from Milos, but this I cannot comment on since I have not tried it yet, unfortunately. On the island of Patmos, in the Dodecanese, an Assyrtiko wine is produced with "soft natural interventions", which presents with a full and rather unique character from the Patoinos winery. The winery produces two versions of Assyrtiko that seriously flirt with what we call "Natural Wine". The Assyrtiko of Patoinos is thick, with a rich body that is balanced by acidity and saltiness, while Orange is a more esoteric wine that needs patience before it unfolds its virtues. Many don't consider Evia as an island, which it is, of course. It would be an omission not to mention it, when, for many years, it has given us one of the best Assyrtiko wines outside Santorini. The Assyrtiko Sur Lies from the Vrinioti Winery. The 2017 was released relatively recently from a total of 1.7 ha. Production is quite limited and depends on the whims of the weather - in 2017 only 3,500 bottles were produced - but the wine was one of the most fascinating examples of the variety. It ages beautifully acquiring a Riesling character. The soils are sandy-clay with quite a bit of stone. The quantities of Assyrtiko from the islands may be small for the moment. But, the quality is very high, and this is the basis for any discussion. Especially, when our efforts of communicating Assyrtiko have concentrated around the fact that it can give fine wines, rather than Albarino type wines. Santorini may not be alone, but what mainly seems to hold true is that Assyrtiko is a variety that will paint beautifully only when on a canvas with poor soil and stress. Be it on the islands, or in the mainland of Greece. But, we will refer to Continental Assyrtikos at another time. *A note about the numbers I quote. Where no source is mentioned, the numbers are estimated and provide a basis for discussion. Thank you for casting a light on the "other Assyrtikos". Looking forward to what you think of the Continentals.